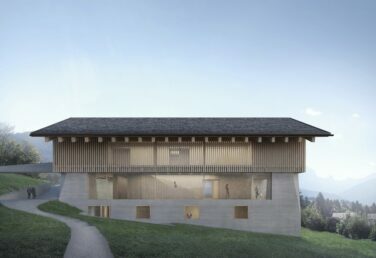 In honour of Aiglon's 70th anniversary we have launched a community fundraising project directed towards raising money for a new Assembly & Arts Building. You may think that only major donors get to see their names on donor plaques, but this year we are offering a chance for our annual donors to be recognised by pooling their donations together to fund a room in the new building. All those who choose to donate to this initiative will be recognised on our website and on a plaque to be displayed on the attributed room. We launched this campaign for Giving Tuesday (November 27th) and we are delighted to already have raised CHF 19,000 towards the first goal! Please visit our web page for more information. 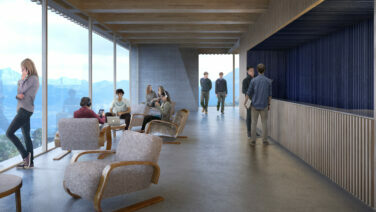 The Assembly & Arts Building is the next phase of our Campus Masterplan. This new building will sit on the old orchard at the heart of our campus and be a real hub for the school - putting meditation, assembly, Music and Drama at the centre of our campus. Last spring we held an architectural competition, which led to the appointment of Swiss architects Durisch + Nolli. 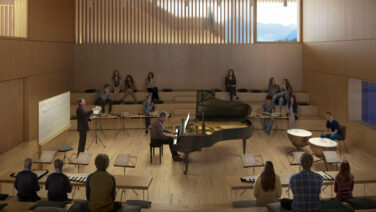 They have designed a high caliber performing arts building that will provide us with the facilities we need for educational and practice space for our Music and Drama programmes, as well as a much needed whole school gathering space. This year we have been building a team of experts on everything from lighting and acoustics to fire safety. We are now in the process of finalising the technical plans which will be submitted to the commune for final approval next spring. You may read more, and see the current floor plans here. This is our most ambitious building and fundraising project yet! We hope many of your will decide to join us in supporting this initiative.